Boasting a chic chrome finish, this light offers an exquisite addition to the indoor living area in your home. Suitable for your modern living room or contract setting, this wall light provides a contemporary element to your space and is supplied complete with black tapered drum fabric shade. 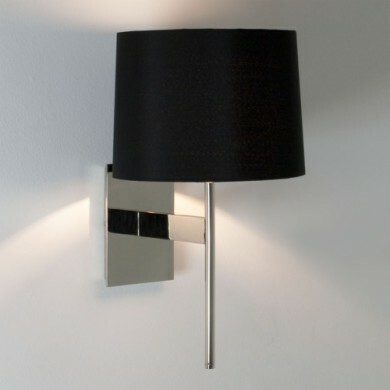 Available to work as a feature or accent light and if you are searching for a modern, contemporary light, look no further.